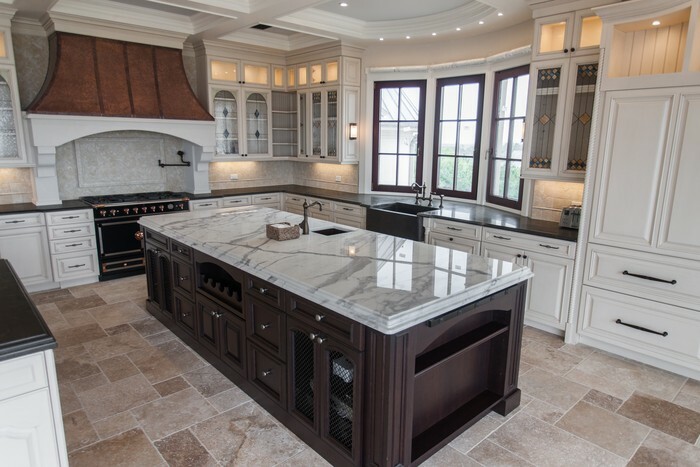 Natural stone fabricators have always relied on different types of marble stones in order to help consumers develop stylish, yet sophisticated household designs. The most important aspect of integrating a refined marble finish to any room is deciding which type to use, so all slab yards should keep in mind the importance of variety when it comes to marble containers. Today, most upscale homes utilize one or more high-end types of marble to achieve a level of aesthetic splendor desired by today’s savvy home-buyer, making a diverse inventory of this precious material that much more important to fill your container. Known for its bold, distinctive veiny patterns and polished exterior, Calacatta is a type of white marble that has gained massive popularity throughout the natural stone industry. 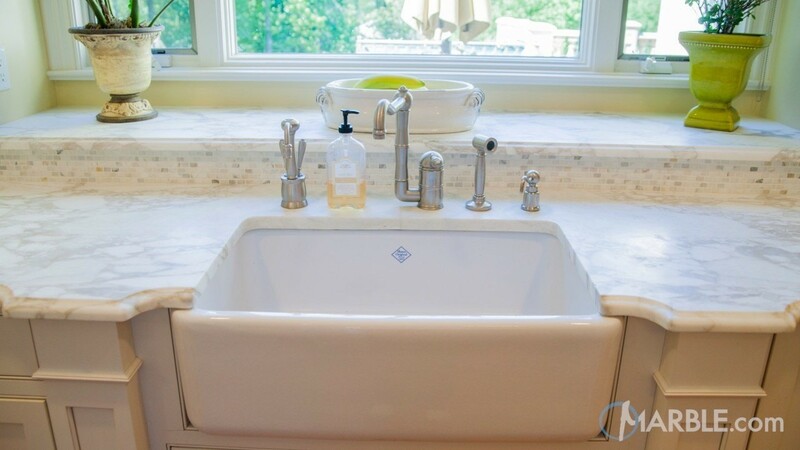 This type of marble provides that gentle, comforting appeal that works so well in any graceful butler’s pantry, baker’s station or bathroom vanity top installation. In fact, there are six main types of Calacatta marble that every yard owner should consider maintaining. These include Calacatta gold marble, Borghini marble, Calacatta Extra marble, Gold Premium marble, Michelangelo marble, and Calacatta Oro marble. By joining SlabMarket, you can add these different types of Calacatta marble to your container and see for yourself how Calacatta marble stones can add appeal and additional value to your current inventory. Calacatta Borghini marble is another white marble that boasts thick, gray veiny sequences with occasional gold undertones. Add this exclusive marble stone to your slab yard and give your customers an opportunity to choose this stone for a more elegant bathroom vanity top that adds value, style and beauty to their living quarters. Look below and see this stone's stunning gray veins! 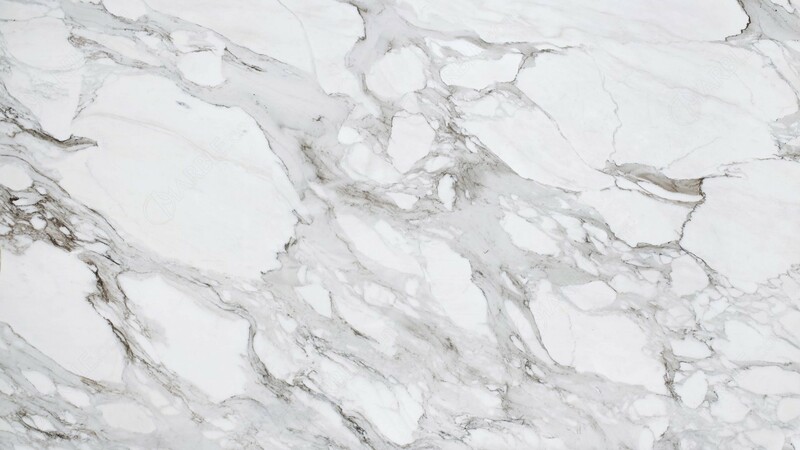 Calacatta Gold marble has tones of both white and gray complexities with more intricate veiny patterns that other types of Calacatta marble lack. Add this to your container and begin bolstering home improvement projects involving sensitive, low-traffic areas like the baker’s station, exclusive butler’s pantries, or even a high-end bathroom concept designed to be both elegant and visually stunning. Another white marble stone that helps give your kitchen that extra gleam is be Calacatta extra marble. This stone would make an excellent addition for anyone in the natural stone industry looking to encourage a more uniform, well-dressed charm to any consumer’s kitchen or dining room area. Remember to guide your customer to use a reliable sealant for all marble as they are all prone to stains. Below is the beautiful Calacatta Extra installed in a kitchen island. Calacatta Michelangelo Marble will help give your customer a more consistent type of stone to integrate into their home design. This white marble stone maintains a plain, white background and features only slight color variations with delicate, gray veining. Like all other types of Calacatta marbles, consumers will find this stone particularly appealing for a chic bathroom vanity style or low-traffic kitchen countertop installation. Calacatta Oro marble is a rare marble, but a must-have for slab yard owners seeking to attract customers looking for that classic, Tuscany style for all kitchen and bathroom designs. This highly refined, polished marble can be used for memorable kitchen islands, countertops, and bathroom vanities. Below, Calacatta Oro is shown installed as a kitchen countertop. We at SlabMarket can help you maintain a wide variety of Calacatta marble stones. And if you are in need of an installation of this gorgeous stone, visit a Marble.com slab yard in order to discover for yourself the different looks and feels of these pristine marble slabs. In order to protect your investment, you will want the best cleaners available. Make sure to check out Mr. Stone's AGM Daily Countertop Cleaner, which is a great product that also includes a small amount of sealer to clean and protect you marble surfaces.